Calling all dog moms (and dads!) 🐶 If you’re anything like me, you want the absolute best for your fur baby. Because let’s face it, they may not look like us, but they are definitely just another family member. 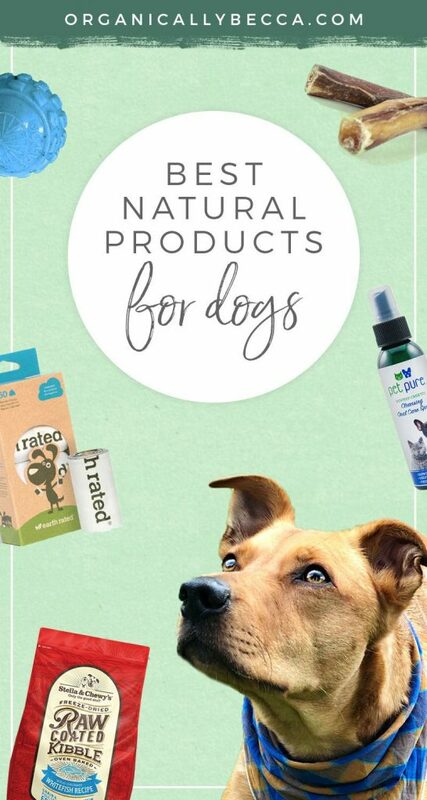 Today I’m going to share some of my favorite (or should I say my dog Dexter’s favorite) natural food and products that are Organically Becca approved! The sad truth about most kibbles is that they contain lots of cheap fillers and by-products. Companies will use leftover meat that usually isn’t good enough for human consumption, or meats that are brought over from countries such as China and pumped full of hormones and antibiotics. Sometimes they contain a lot of GMO corn, soy, and grains which definitely are not part of a dog’s natural diet. Kibble is also cooked and extruded at extremely high temperatures, which not only kills off all the vital nutrients, but it actually makes the food carcinogenic. According to Fetch a Cure, an estimated 6 million dogs will be diagnosed with cancer this year. Stella & Chewy’s: A local (to me) company out of Oak Creek, Wisconsin. They use responsibly-sourced ingredients (never from China) and their food is 90-95% meat, organs, and bone with no added hormones or antibiotics. 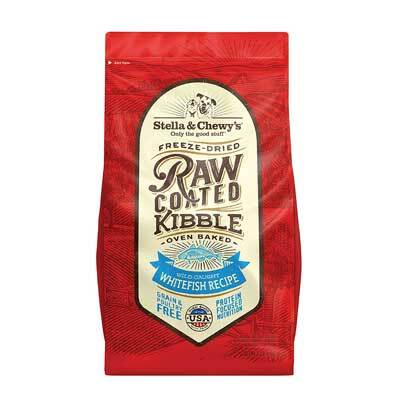 They offer a variety of options whether it be frozen raw, patties, freeze-dried raw, raw-coated kibble, and some others. They also incorporate 100% organic fruits and veggies and their meats are grass-fed, wild-caught, or cage-free. Dexter is usually given the Raw Coated Kibble, which is kibble that is gently baked at low temperatures (not extruded) and then coated with freeze-dried raw food. It’s a little more affordable of the options but still superior quality! Raw Paws: This is another amazing company which I have recently started incorporating into Dexter’s diet. 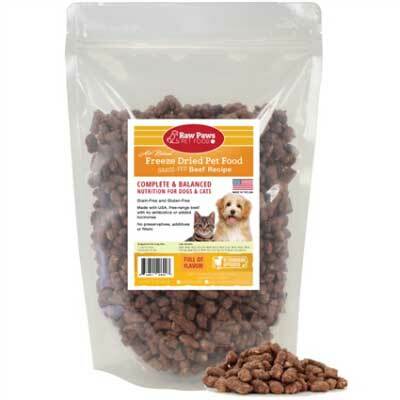 They have an amazing selection of raw food along with freeze-dried and natural treats and chews. Dexter has been liking the Freeze-Dried Grass-Fed Beef food. It’s pasture-fed, grain free, no hormones or antibiotics, gluten-free, and made in the USA. Use code ORGANICALLYBECCA for a discount! TIP: Since Dexter’s food is usually freeze-dried or a gently baked kibble, I like to soak it in about 1 cup of water for a few minutes before feeding it to him. Filtered water, of course! Dry food can cause bloat and upset tummy 💦 Plus, in the wild, a dog would eat raw food which is wet and naturally full of water. Soaking the food also brings out the smell and makes it more appealing to them. I also make dog food at home occasionally just to give him something a little fresher, I like this recipe from Damn Delicious. So easy! 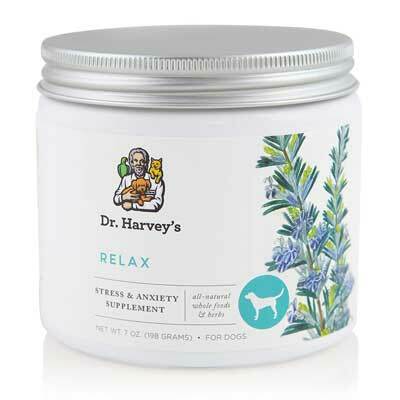 Dr. Harvey’s Herbal Supplements: I sprinkle these on Dexter’s food occasionally for a little extra nutrition. He is an anxious dog so the “Relax” is usually what I use. 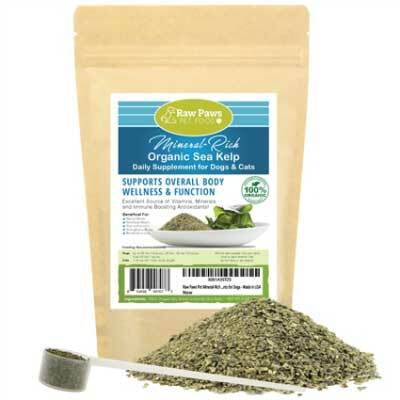 It’s a blend of spirulina, lecithin, nutritional yeast, garlic, flax seed meal, alfalfa leaf, kelp, rose hips, red clover blossoms, kava kava root, hops flowers, chamomile flowers, catnip leaf, damiana leaf, lobelia herb, passion flower herb, valerian root, rosemary leaf, and skullcap herb. Gracie’s Doggie Delights: Freeze-dried dog treats made locally in Wisconsin by Gracie, a young woman with Down Syndrome. Palmetto Paws Organic Hemp CBD Oil: I’ll be 100% honest that I did not see a noticeable difference in Dexter’s anxiety or behavior with this. However, after reading the reviews and hearing how well it worked for some other dogs and their health, I would suggest trying it for your own pup to see! 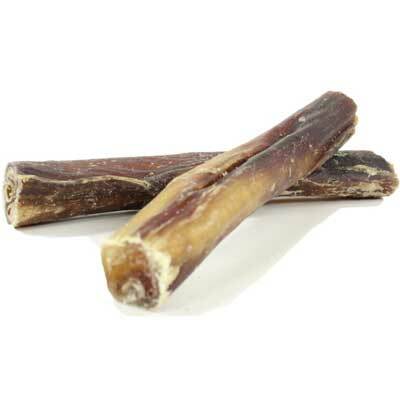 Raw Paws Freeze-Dried Treats + Bully Sticks: I also love giving Dexter treats from Raw Paws. He loves the bully sticks (so gross if you know what a bully stick is…) and also the freeze-dried grass-fed beef treats. Use code ORGANICALLYBECCA for a discount! Raw Paws also sells a variety of natural supplements, including probiotics, dental supplements, and organic bone broths. 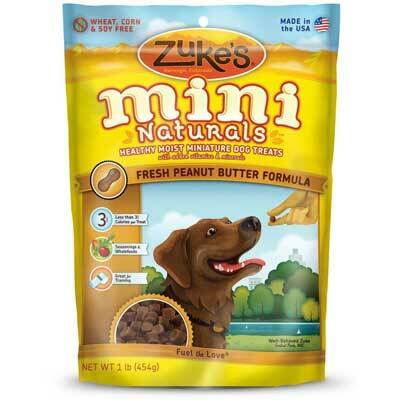 Zuke’s Natural Peanut Butter Mini Training Treats: Perfect for training or for taking on walks! Bacon?! 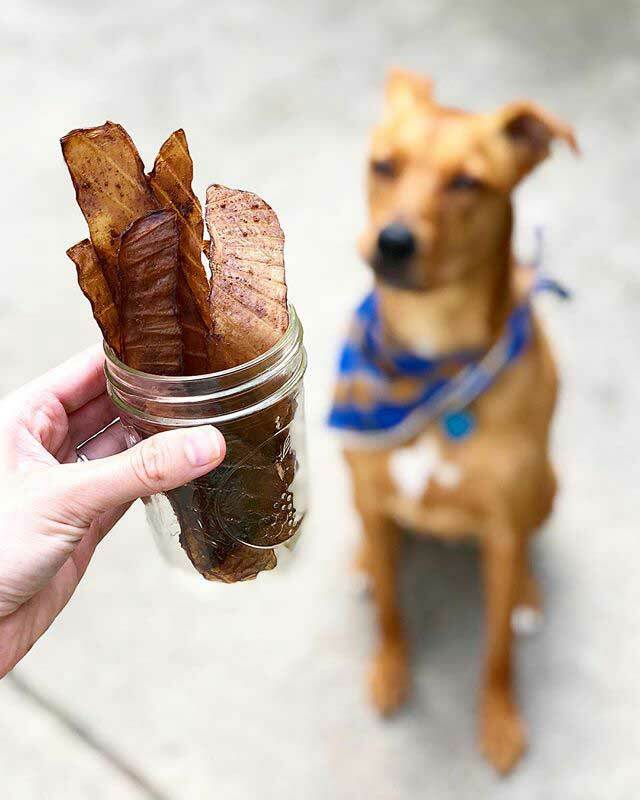 No…kombucha SCOBY dog treats! This is going to make me seem SUPER crunchy, but I use extra SCOBYs from making homemade kombucha to make dog treats. 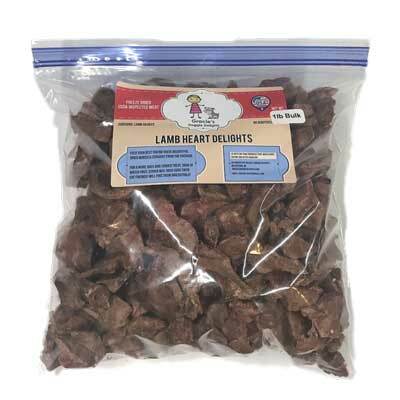 Dexter loves them and they are a great source of probiotics. TO MAKE: Just cut a SCOBY into long strips and lightly coat it with bouillon for flavor. Place on a dehydrator for a few hours at 95° F. Store in an airtight container for up to a few months. 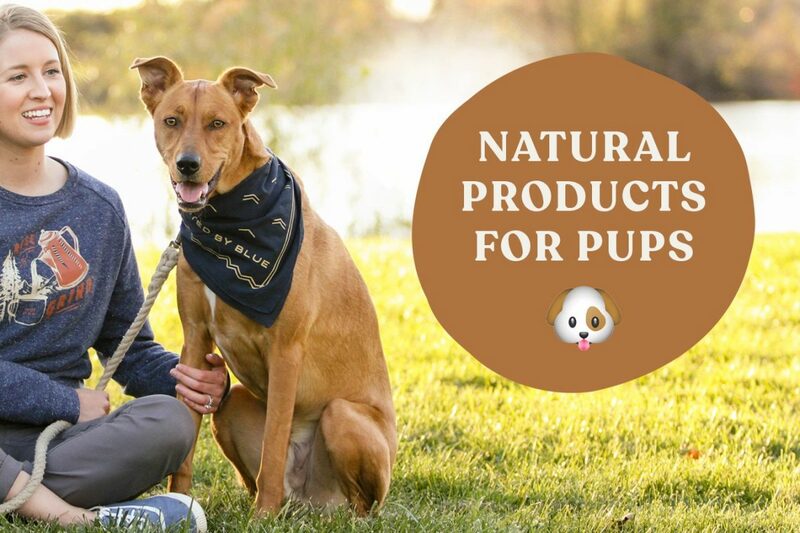 Pet Pure by Dr. Brite: My favorite natural dental company also makes pet products! This bundle contains a Cleansing Oral Spray and Tooth & Gum Cleaning Pen. It has natural, organic, human-grade ingredients. Use code ORGANICALLYBECCA for a discount! 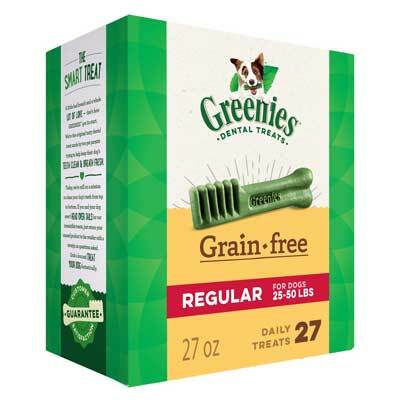 Greenies Grain-Free Dental Chews: Dexter loves these, but I love that they are grain-free and help freshen breath and clean his teeth as he chews. 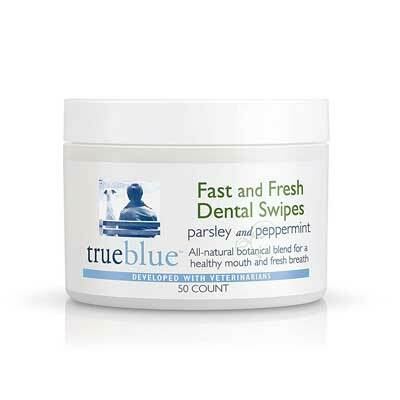 True Blue Biodegradable Teeth + Gum Wipes: If a spray or dental pen won’t work for your pup, you can try these super easy wipes to clean their teeth! 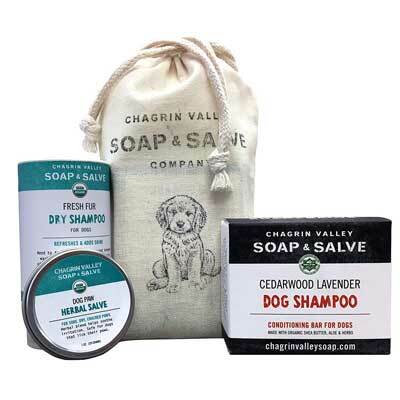 Chagrin Valley Soap & Salve Pooch Pouch: Includes organic Cedarwood Lavender shampoo bar, Dry Shampoo, and an herbal Paw Salve. The shampoo actually helps keep bugs away too. 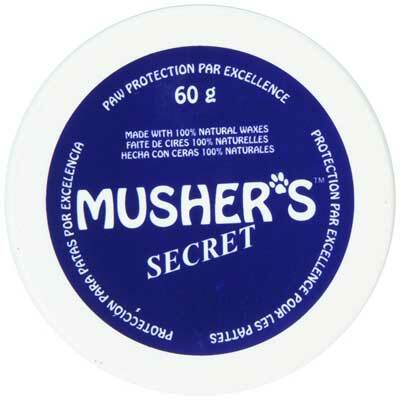 Musher’s Secret Pet Paw Protection Wax: A natural blend of beeswax, carnauba, and candelilla waxes that help protect paws. This is great in winter when the roads are salty and freezing! 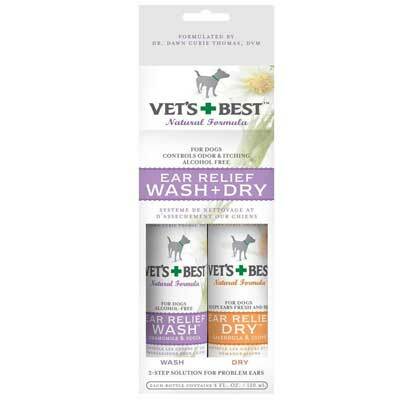 Vet’s Best Ear Wash & Dry: I use this stuff after Dexter goes swimming or gets a bath to make sure his ears are clean. They are made with yucca, aloe vera, chamomile, clove oil, tea tree oil, and echinacea. Sentry Natural Defense: Unfortunately, the ingredients in most topical flea and tick repellents for dogs are made with pesticides and chemicals. I would much rather be putting something natural and safe on my pup! During the warmer months, I apply this Sentry squeeze-on monthly along his back. The smell is pretty strong and Dexter is not a huge fan of it, but it subsides after about a day. Made with essential oils of peppermint, cinnamon, lemongrass, clove, and thyme. 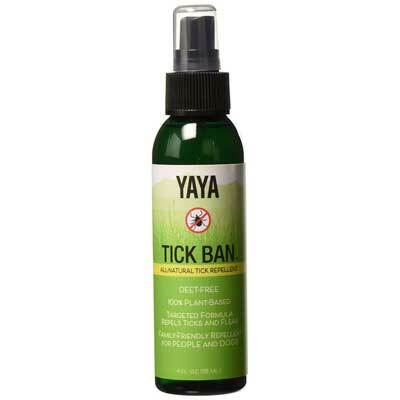 Additionally, when I’m hiking or outdoors in grassy areas, I use YaYa Organics Tick Ban on myself, but it’s safe to use on dogs too! 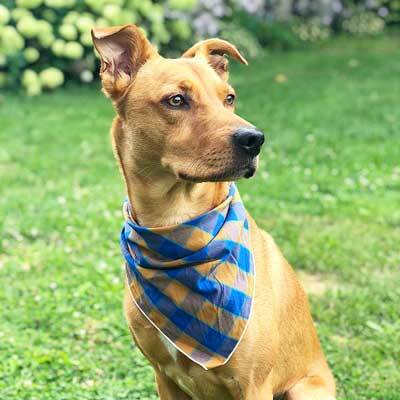 Lost & Hound: A local Milwaukee company that sells super cute bandanas, bow ties, leashes, etc. using pre-owned and recycled fabrics. With every purchase, Lost & Hound will donate a toy to an animal shelter to accompany a rescued dog and help welcome them to their forever home. 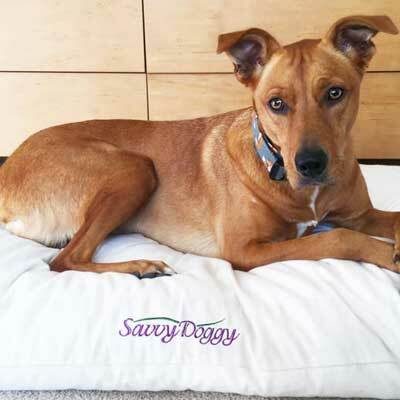 Savvy Doggy Organic Bed: No nasty chemicals on this bed! Check out this blog post for more info. This is an area I want to improve on! All of Dexter’s toys are pretty old but once it’s time to replace I’ll definitely look into some that are more eco-friendly. 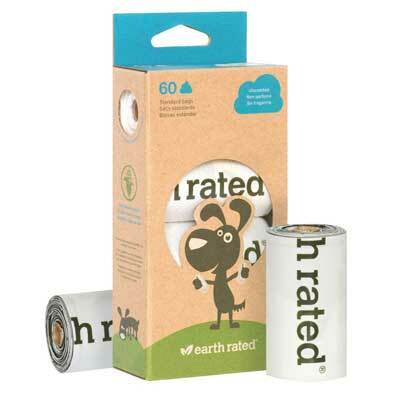 My friend Marissa of The Greener Girl has some great resources and posts about environmentally friendly pet toys. Check them out here. Want more? 🐕 Be sure to also check out the Healthy Dog section on my Amazon storefront. It has the leashes, harnesses, and some other dog products I love. Let me know if you have any questions or share what some of your favorite pet products are in the comments!